This is a two-part feature, starting with the earlier of two machines, the 3a. We look at its big brother, the Series 7, in part 2. Doing clever things with the hinge became a signature element of Psions starting with the Series 3. 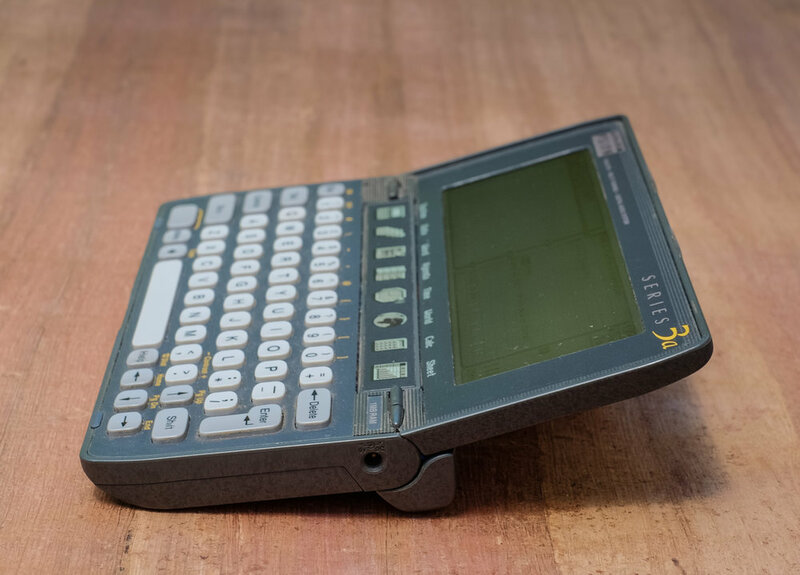 Psion's engineers and design consultancy Therefore seemed to delight in conjuring up a novel hinge design that not only made the clamshell work but also did something else useful - like prop the keyboard up at a slight angle to facilitate better typing. 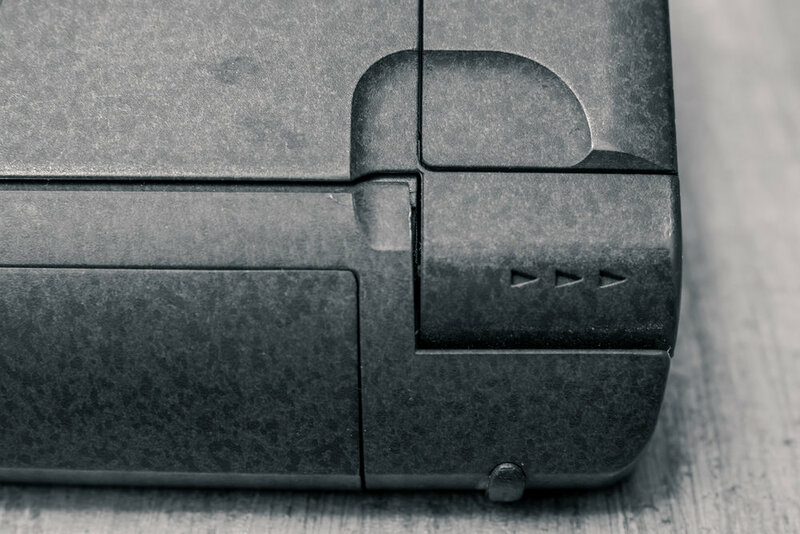 Looked at both from the outside as well as what happens internally with the "button bar" below the screen it is an impressive feat of miniaturized engineering, especially when you consider that the hinge/foot was almost entirely filled with AA batteries! Unfortunately, these hinges were also fragile and would break over time or the ribbon cable running to the screen would die. 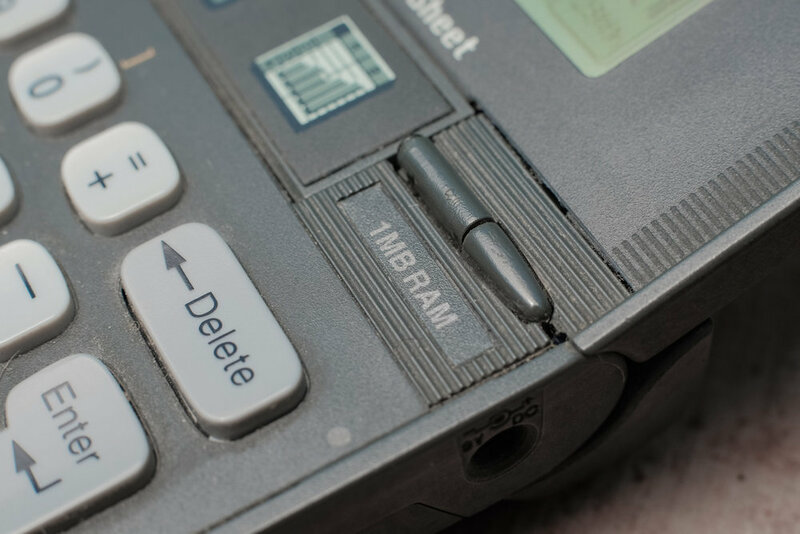 In the sample shown here there is a crack on the left side of the button bar, and the bar itself does not collapse quite symmetrically, so care must be taken both opening and closing. Some intrepid users have fixed theirs, but it's not a repair for the faint of heart.